A Gigantic evolution in the field of technology has invented many smart solutions to reach the desired result. The innovations include marvels like telephone, electric bulb, Chryslers till internet, smart devices and counting. Electric devices and non degradable material are one such innovation that has made an everlasting impact on the Human Race. Metals, Plastics, electric wires are best examples of non degradable innovations made by human kind. They indeed prove to be very useful for the lifestyle that we have become accustomed to follow. We all make use of plastics and electric gadgets many a time. The manufacturing of plastics is completely chemical in nature. It involves hydrocarbon raw material which is converted to monomers and then polymers that contribute to the basic structural unit of a plastic. Then the polymer undergoes dying and addition of plasticizers and other flame retardant chemicals and are moulded to produce desired outcome. Plastic is such a miracle material that has simplified our lives. This substance known for its ease of use has recoiled to such an extent that soon it will worsen the planet even more than the number of benefits it has produced. One of the major parts of our planet that is vulnerable to plastics is the ocean. One species that has started showing negative impact is Seagulls. Plastics are not bio degrades but they are photo degrades. Photo degrades are those which break down into micro plastics due to sunlight and are easily confused for other sea creatures that consume these micro plastics. Seagulls ingest this indigestible material and can fill up an animal’s gut which leads to starvation due to lack of nutrients. In addition to it, the electronic disposal too lands up in the ocean. 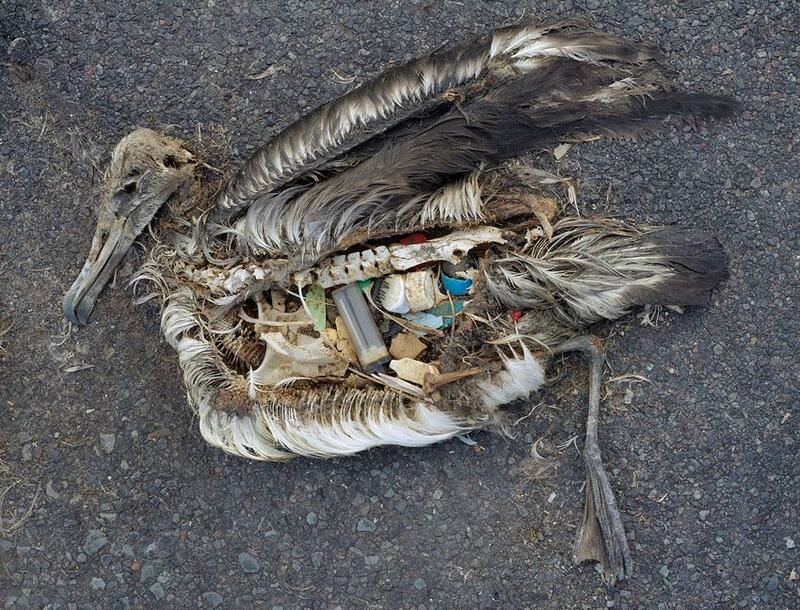 When we pollute the sea, we pollute nature that has dire consequences for many years to come. 70% of plastics end up in ocean but they are never extinct. Such material and dissolvent pollutes millions of litres of water and a day will definitely arrive where we will crave for pure water to drink. While we are in a process of simplifying our lives, we are polluting the lungs of our Mother Nature and thereby multiplying the same in our lives. Luckily, we even have proper advanced technology to recycle the copper and insulin material of e-gadgets and plastics, yet we dispose them injudiciously. The bottom-line is that how far we are acting upon this. Every electric gadget says not to dispose them with regular waste since there is a proper disposal for every substance. If we stop buying plastic, the manufacture of plastics will eventually stop. Else if the same continues, our future generations will have to see nature fossilized. We do not want them to think that ‘plastic’ is what we have left for them when we were here.